Rainbow Six Siege remains an unparalleled achievement. It’s been over a year since I last played Rainbow Six Siege for any real length of time, and I regret it. 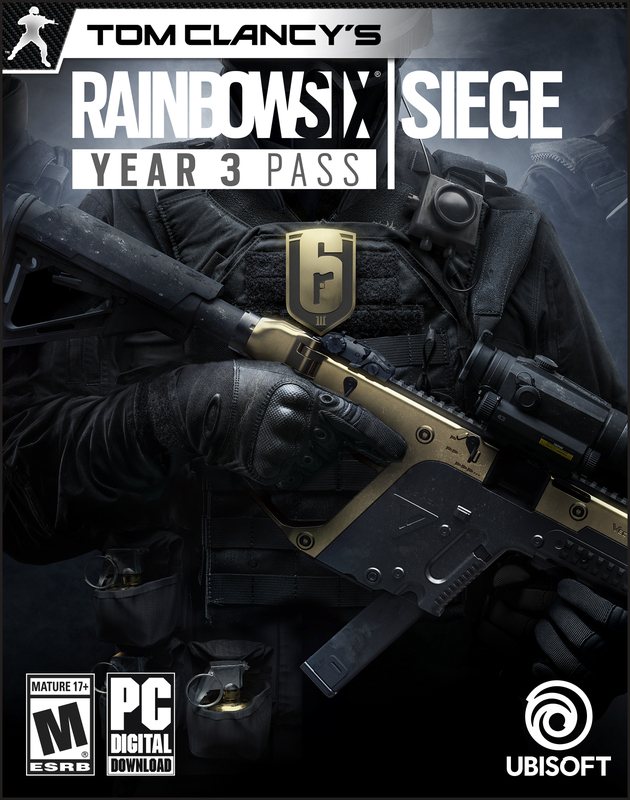 Earlier this week I went to play the upcoming Rainbow Six Siege – Year Three content ($30 season pass on Amazon) at Ubisoft’s offices in San Francisco, and to be honest I’d be hard-pressed to talk about what’s new. A lot has been added since last time I checked in, though from what I gather the standout new Operator is Lion—an attacker whose special gadget is basically a legitimate wallhack. More on that later. Not knowing the current meta isn’t what I regret though. I have no big stake in arguments about Operator balance or whatever. 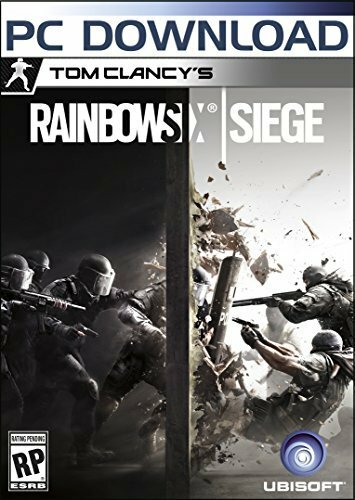 What amazes me is that, two years into its lifespan and embarking on its third, coming up on five years since we first saw the Xbox One and PlayStation 4, Rainbow Six Siege is still the only real “next-gen” shooter. It’s creative as hell. Where is everyone else? “Only next-gen shooter” is a bold statement so let me explain, because I can already hear your protests. There have definitely been other shooters these last four years, and some great ones, too. But they feel like games I could’ve played a decade ago. 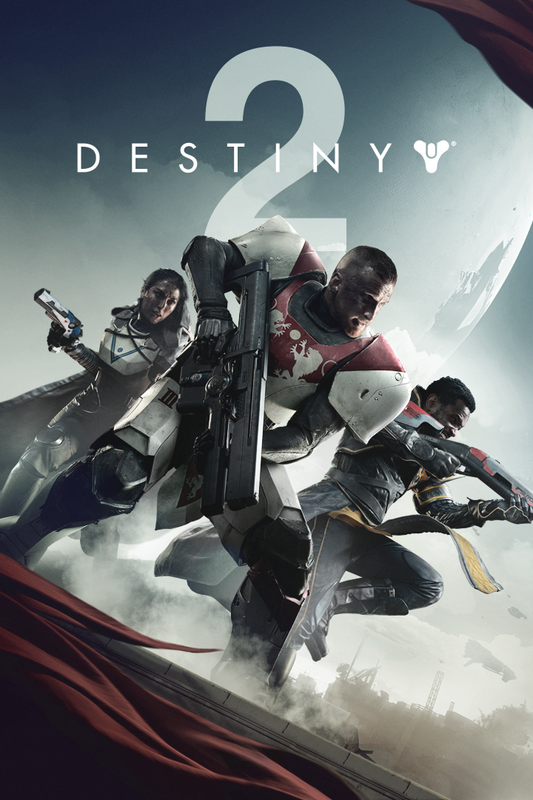 Shooter-adjacents are probably the most creative breaks we’ve seen from the status quo—Warframe and Destiny finally realizing the promise of pseudo-MMO shooters, and Playerunknown’s Battlegrounds popularizing a brand new subgenre. But when it comes to the humble team deathmatch style of play, we’ve mostly been stuck in a rut. 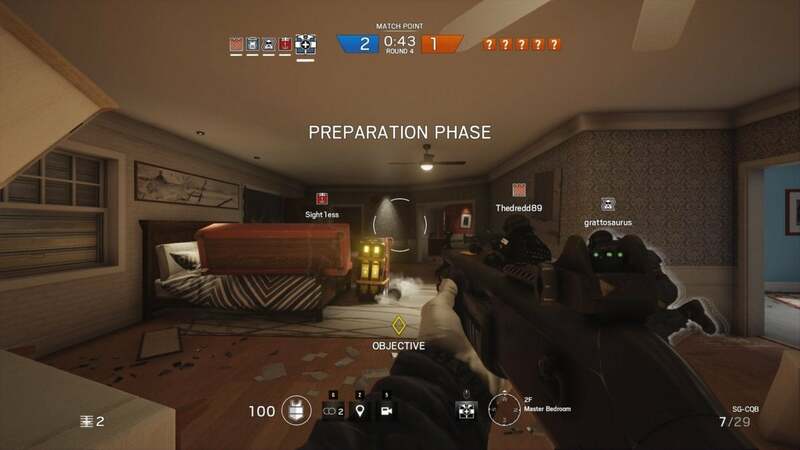 As I wrote in my first-ever preview of Rainbow Six Siege, there was a time when a new console generation meant new styles of play, not just prettier takes on the old ones. With the Xbox One/PlayStation 4 era, that shift hasn’t really happened. Pretty much everything’s gone open world now, but that’s just the continuation of a trend that started in the early days of the previous gen, where we saw games like Rage, Borderlands, et cetera. 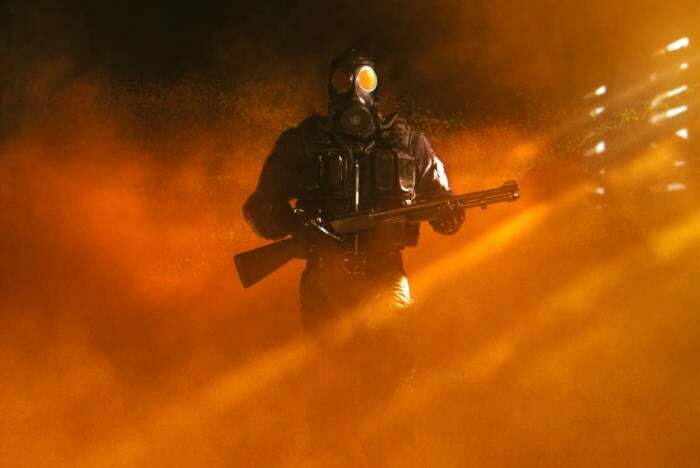 To an extent, Rainbow Six Siege also built on existing trends, with the destruction tech in Red Faction Guerrilla and Battlefield: Bad Company 2 the obvious touchstone. (It’s also tapped into the same post-MOBA hero craze as Overwatch.) But that destruction tech was always rudimentary on previous consoles, capable only of broad strokes execution. Red Faction let you dismantle whole swathes of the level, but that meant breaking whole walls down or kicking out a door. The same goes for Bad Company 2, which was great at blowing walls into chunks but wasn’t very dynamic—the house always crumbled into the same predetermined shape every time. And that rudimentary feel made both those games feel slightly gimmicky. Much as I loved both Bad Company 2 and Red Faction Guerrilla at the time, it was clear even then that these were almost proof-of-concepts for the technology. You could see the seams, see where the technology could go if only we had the processing power. And that feeling’s continued even up through Battlefield 1, which despite being prettier and larger in scope than Bad Company 2 still feels like it does macro-destruction better than micro. Rainbow Six Siege hones in on the gimmick, focuses on what makes dynamic destruction such an appealing concept. The key is realism, and the key to realism is that small-scale destruction other games omitted—first because the last-gen consoles weren’t powerful enough, and now because they’re seemingly more interested in building larger and prettier environments instead. The macro’s still there, of course. Want to blow a whole wall down in Siege? Yeah, you can do that. But you can also shoot a single round through the wall, use the ensuing hole as a peephole, and spy on the people on the other side. Or you can hear the slight scuffle of footsteps on the ceiling and shoot someone before you’ve ever even seen them. It completely changes how Siege is played, and thus changes your entire approach to playing a team deathmatch-style game. Ducking around a corner no longer ensures safety. Camping is often a great way to get yourself killed. 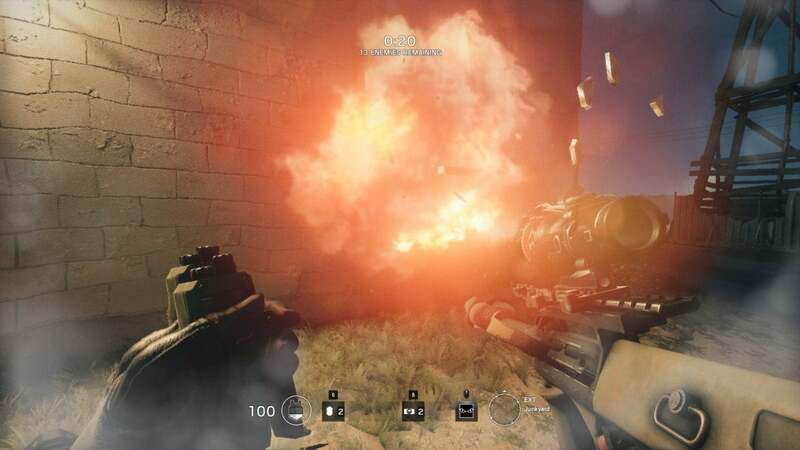 The whole dynamic is different from the shooters that came before, and destruction is intrinsic to Siege’s design in a way it wasn’t with the games that paved the way. As further proof, all you need to do is look at how many interesting cat-and-mouse ideas Ubisoft’s given the player. Depending on what Operator you play as, your capabilities change wildly. At launch there were characters who could blow holes through walls, a character that could sense heartbeats, one that could break down reinforced structures, and so on. Most of Rainbow Six Siege’s characters couldn’t even exist in other shooters, because Siege is the only one with these ideas in play. Post-launch heroes have been strong too. 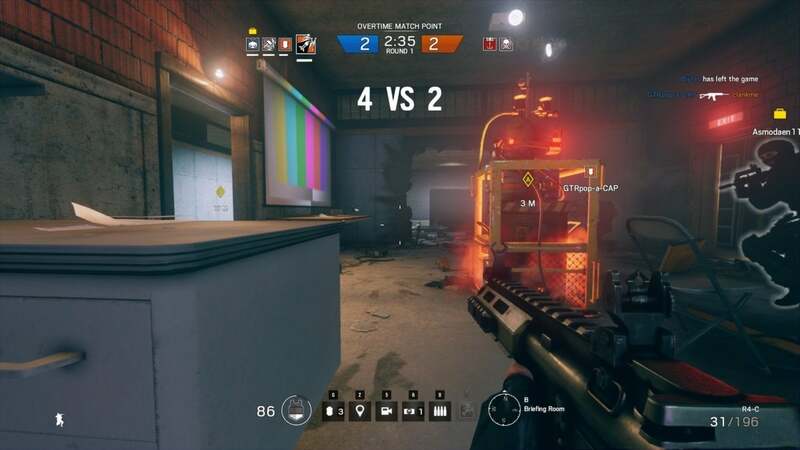 Hibana can shoot rounds through reinforced walls, making the defense’s safe spots suddenly unsafe. Frost deploys traps on the floor, almost like bear traps, which can make simply walking around a desk or some rubble suddenly deadly. Jackal can spot recent footsteps, giving him a drop on fleeing defenders. Then there’s Lion, my new favorite. As I said, he’s almost like a legitimized wallhack. Lion’s gadget is a drone that scans the entire map for enemies. The catch: Defenders are given a three-second warning before the scan triggers, and the drone only picks up on moving targets. If the defending operators just stand still, the scan is wasted. But if someone’s in a panic, or just plain doesn’t notice the countdown, their entire body is highlighted in bright red through the walls. It’s a fascinating gadget, leading to moments of decision where attackers are swarming the building and the defenders need to either get in place (while giving away their position) or freeze for five seconds and have to scramble afterward. Again, it’s an idea that only makes sense in a game where being seen through the wall is an immediate detriment. These same sorts of genre-breaking ideas were what made me fall in love with Rainbow Six Siege back in 2015—back when the servers were still janky, hit-registration was maddeningly imprecise, and when people seemed ready to write the whole game off from the start. And it’s the same ideas that made me want to go back now. 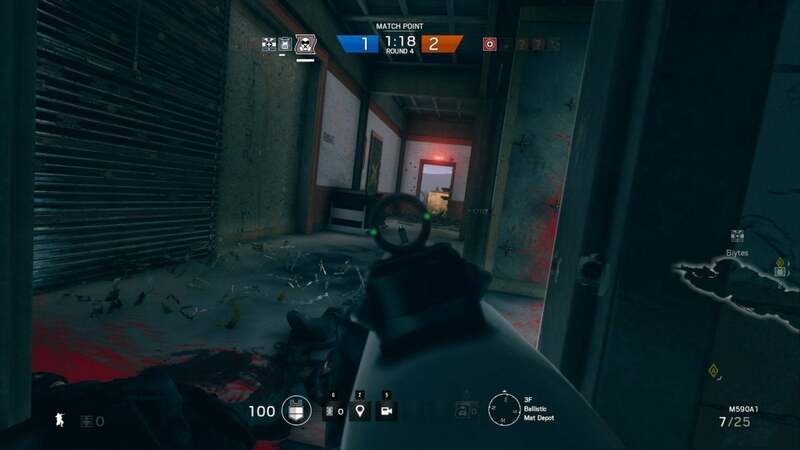 Just a few short rounds this week had me itching to reinstall Siege, because it’s still so damn unique. Unparalleled, even. This generation of hardware, the games sure do look great. It’s hard to tell sometimes because the iterations are so small, but compare a game from even 2013 to 2017 and the difference is vast. We’ve had few shooters strive beyond that, though. Battlefield 1’s destruction is still, in many ways, less important to the flow of the game than Bad Company 2’s. Call of Duty: WWII plays much the same as Call of Duty 3. We’ve had many “next-gen” shooters since 2013, but Rainbow Six Siege is only one that lives up to the full promise of the phrase.